Deadline for comments is 4 February. We urge you to help the Conservancy Association protect the cultural and architectural landscape and ecology of Pak Sha O, a historic hakka village located in the Sai Kung West Country Park. In December 2015, a draft Outline Zoning Plan (S/NE-PSO/1) was published for public consultation. It shows where small house developments will be permitted. Surprisingly, it is exactly the land already sold to Xinhua Bookstore Xiang Jiang Group Limited. The Planning Department says that they are responding to villagers’ claims that a large area is needed for small house developments. But their demand is highly suspect. Records show that villagers sold their agricultural land to Xinhua some 5 years ago. Records also show that recently Xinhua “sold back” the land to villagers who have “ding rights”. Are these villagers acting as frontmen for the developer? Is the demand for small houses genuine or simply a scheme for development profits? It is a mystery as to why the Planning Department is aiding and abetting this obvious frontmen scheme recently found to be illegal by the District Court. The boundaries of the area the Planning Department is proposing for small houses is near exact the land bought by Xinhua! Just a coincidence? The visual above shows the land bought by Xinhua (pink areas), the land subsequently sold back to villagers in whose names recently applications were submitted for small houses (red dots), and the boundary (brown line) of the proposed v-zone, the area where construction of small houses would be permitted in the future if the Town Planning Board approves the proposal form the Planning Department. Join and connect with friends – come and play along Tak 玩德節- the original name for “Des Voeux Road Central”. The Tak festival starts 27th February and runs till end of March. Sections of the street will be transformed into experimental playgrounds. You are invited to play Jenga on the street corner, join a sidewalk gaming tour, and discover hidden gems in alleys and lanes to start an interesting conversation with strangers. You can join workshops, exhibitions, talks and events. The festival is presented by the Des Voeux Road Central Initiative. The aim is to raise awareness and support for improving the pedestrian environment along Des Voeux Road Central. Yi O is an enclave deep inside the Lantau North Country Park. Some villagers sold their beneficial interest in the land to developers a decade ago. Well-known names are involved including Lau Wong Fat and Patrick Tse Yin. In 2010, after Government announced that they would protect the last remaining enclaves under the Town Planning or the Country Park Ordinance, the developers and villagers hurried to bring in Andrew Lam Siu Lo. Andrew is well connected with Government and is on the Lantau Development Advisory Committee. A vicious plan was put together. The first step was to clear all the vegetation and divert streams. Under the excuse of farming, the ecology was destroyed in 2012. 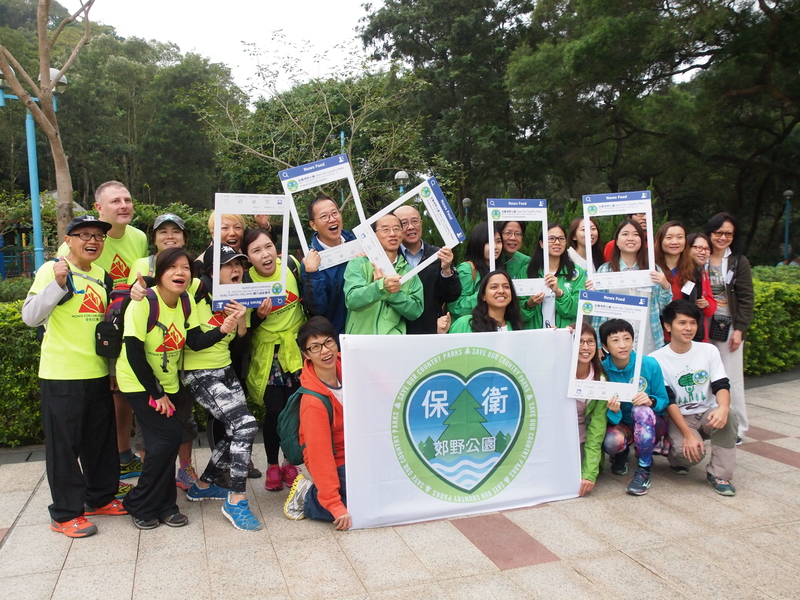 Over 200 volunteers from 16 organisations and individuals set up more than 30 stations at key entrances to 20 of Hong Kong’s 24 country parks. The volunteers counted visitors and asked them to take selfies in support of safeguarding country parks. 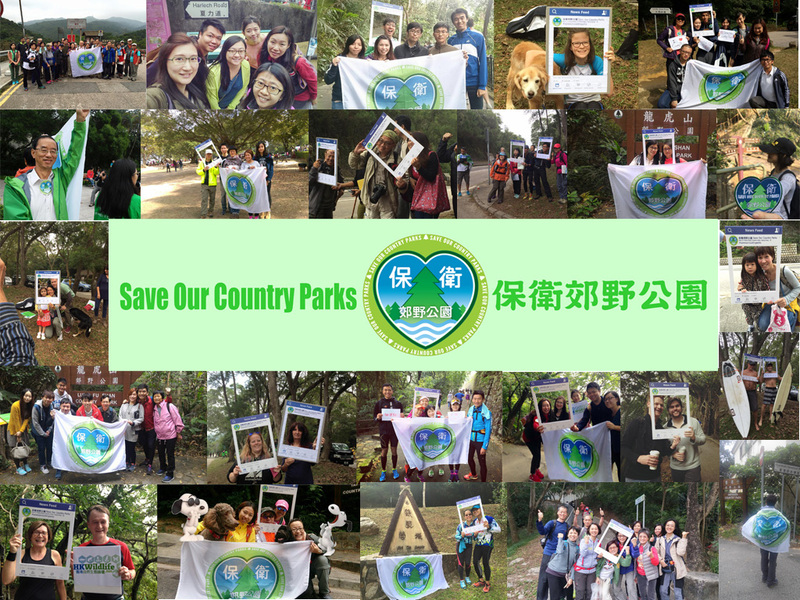 The mega event gave Hong Kong people an opportunity to stand up and oppose those wanting to use country parks for development. According to the Country and Marine Parks Authority’s Progress Report, the number of visitors has increased 24.8% compared with last summer – clearly showing that country parks are ever more important for leisure and relaxation for Hong Kong residents and visitors. Prof. Wong Fook-yee, adjunct professor of the Geography and Resource Management Department of CUHK, related the history and objectives of establishing Hong Kong country parks, and said they should be conserved and protected. More photos and pictures on the press meeting will be uploaded on Save Our Country Parks Facebook Page. For more hikers’ supportive pictures, please visit #SaveOur CountryParks event page. Ark Eden, Association for Geoconservation, Hong Kong, Clear the Air, Designing Hong Kong, Eco-Sys Action, Environmental Life Science Society, SS, HKUSU, Friends of Hoi Ha, Friends of Sai Kung, Friends of Tai Long Wan, Friends of the Earth (Hong Kong), Green Community, Green Lantau Association, Green Power, Green Sense, Greeners Action, Greenpeace, HKWildlife.net, Hong Kong Bird Watching Society, Hong Kong Cycling Alliance, Hong Kong Dolphin Conservation Society, Hong Kong Outdoors, Lantau Buffalo Association, Living Islands Movement, Living Lamma, Living Seas Hong Kong, Sai Kung Tai Long Wan Concern Group, Society of Hong Kong Nature Explorers, The Conservancy Association, WWF-Hong Kong. 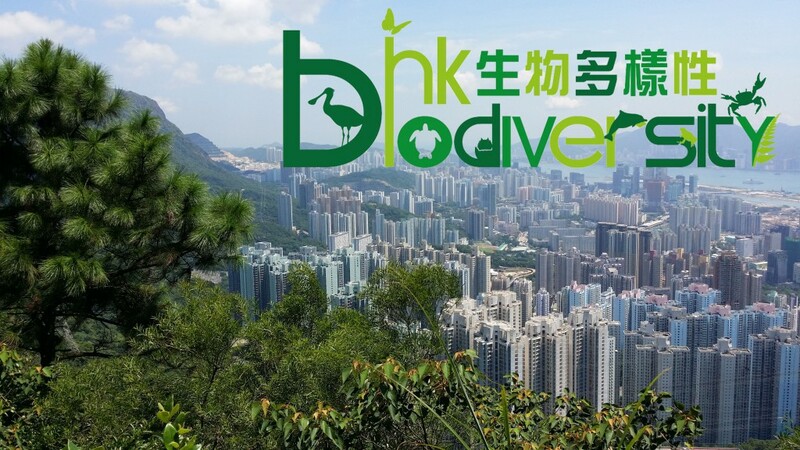 Hong Kong Hiking Meet Up, Sai Kung Buffalo Watch、Save Lantau Alliance, TrailWatch. The Government has announced the sale of the vacant Trade and Industry Department Tower (TID Tower) in Mongkok to the private sector. This provides an one-off opportunity to relocate the lifts and staircases connecting the Mongkok Road Footbridge System and the Mongkok MTR station into the TID Tower. Exits B1, B2 and B3 of the Mongkok MTR station occupy adjacent pavements, and the adjacent section of Mongkok Road was reduced by two lanes for staircases and lifts to the footbridge. Roads and pavements around the TID Tower are narrow. Relocating the staircases and lifts would allow widening of the footway, the carriageway, or both. It is common in Hong Kong to ask property owners to create public access to footbridges and MTR stations. Architects and developers understand the design, engineering and management challenges of internalizing public lifts and staircases, and allowing pedestrians to pass through private buildings. The obligation to incorporate the staircases and lifts would not be detrimental to a sale. By specifying 24 hour access, minimum width and capacity in the tender, potential buyers can consider the implications prior to making their bid for this government property. Whether buyers plan to redevelop the site or re-use the building as is, they will simply consider the cost and the space needed, and adjust the amount they bid accordingly. The sale of the TID Tower provides a ‘once and for all’ opportunity. Once the site is sold it will be difficult to improve the area as future resumption is unpractical. Making changes to the tender will cause a slight delay in the sale of the TID Tower. It is worth the effort as it would improve the pedestrian environment and traffic flow, and make Mongkok a better place for all. An alliance of concern groups has submitted a proposal to Government for a River Nature Park covering the Tung Chung River and Estuary. The proposal is for Government to resume the private land along the Tung Chung River, most of which will be zoned for conservation and coastal protection uses according to the Tung Chung New Town Recommended Outline Development Plan published by the Planning Department in 2014. It is proposed that the land is resumed for public purposes including flood control andnature conservation. We further propose that the Tung Chung River Nature Park will be managed as a public amenity for leisure, recreation and appreciation of nature, as well as for flood hydraulics. We believe this proposal will benefit land owners, as well as local residents and visitors. The park will provide a quality nature experience for the growing population of Tung Chung and for visitors, while protecting the community from flooding.